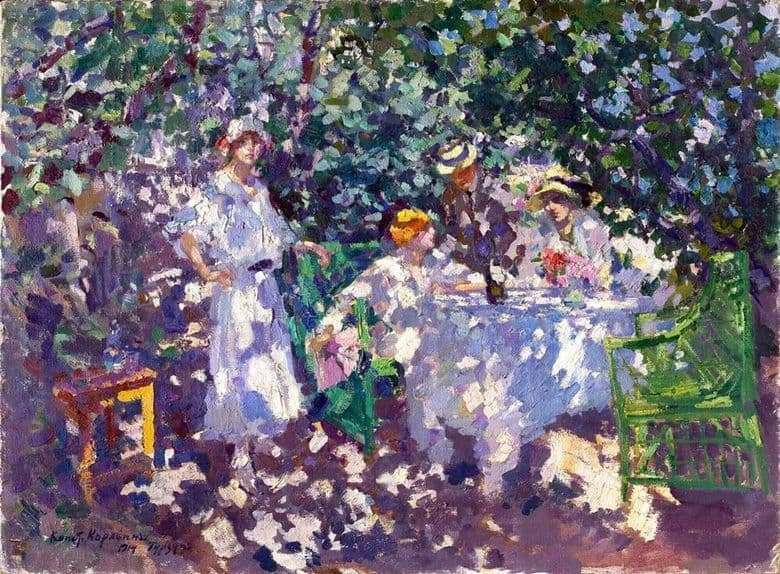 Artist Konstantin Korovin was born into a wealthy merchant family, his grandfather was a merchant of the first guild. However, the family business did not want to continue – the young man was more fascinated by the opportunity to paint. Three trips to Paris caused the artist a great interest in impressionism – almost all of his landscapes are written under the influence of this fashionable trend. Korovin worked a lot as a theater artist, and also had an outstanding literary talent. When the loss of vision forced him to abandon his artistic activities, Konstantin Alekseevich devoted himself entirely to writing stories. In the late nineteenth – early twentieth centuries, Crimea became literally a place of pilgrimage for Russian artists. Draw the sea and the southern nature, many of them traveled here. Many beautiful paintings with views of the Crimea – an excellent confirmation of this. Konstantin Alekseevich Gurzuf loved so much that he built himself a two-story house on the shore in this very place. At first, the artist came to his villa only on short visits, but later he practically moved to Gurzuf, leaving him only during the hottest months. The house was constantly full of guests. From its balcony you could see the sea, the desert cliffs and the garden, overgrown with roses. Crimean roses are present on many Korovin canvases. The painting “In the Garden. Gurzuf” is a classic example of impressionist art. First of all, the plot speaks in favor of this direction – models flooded with light against the background of the landscape. However, some details, rather, indicate the presence of dekorativizm, popular in those years, in the picture – bright colors, emerald, purple and rich purple shades in the image of nature. The faces of the characters in the first minute can be mistaken for sun glares, richly scattered throughout the canvas. Garden benches are a logical continuation of the greenery of trees and curved branches. The picture is dual in nature – on the one hand, an idyllic, partly pastoral story, evoking associations with the Garden of Eden; on the other hand, the mad chaos of color spots, creating some anxiety.